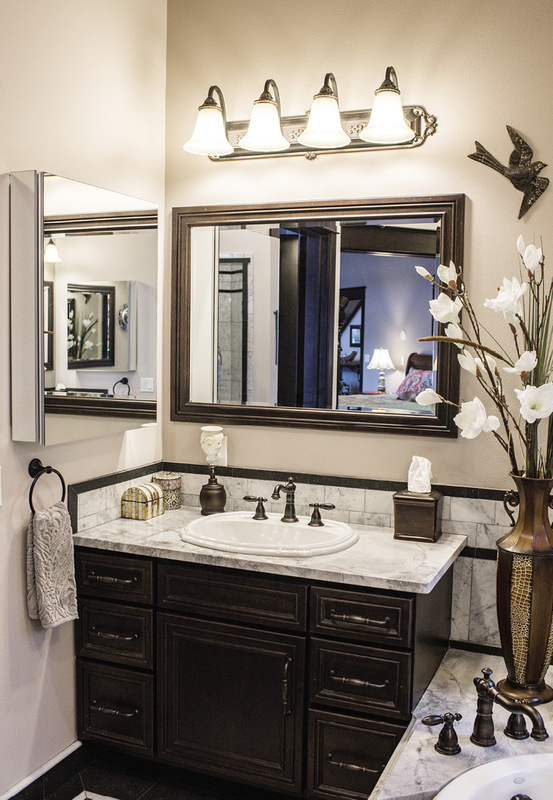 For Dave and Deidre White, the inspiration behind their dream home began when they were kids. Growing up in commercial fishing families, the two met at a fishing lodge near Ketchikan in the 1970s. The 10-year-olds became instant friends, and stayed close throughout childhood writing letters back and forth. 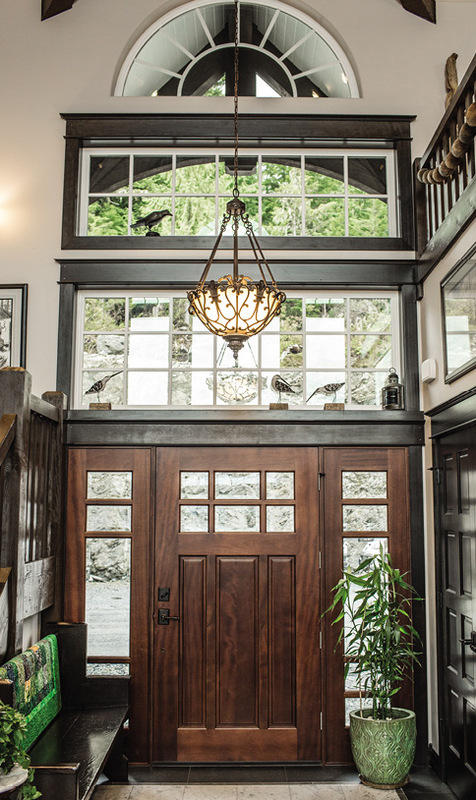 Decades later, they reconnected, married and set out to build a timber frame home reminiscent of the lodge where they met. Patience is a virtue, and during this building process, it was necessary. Before they could start building, the land needed to be developed to make room for the home by clearing some trees and blasting rocks to make a flat spot by the water. 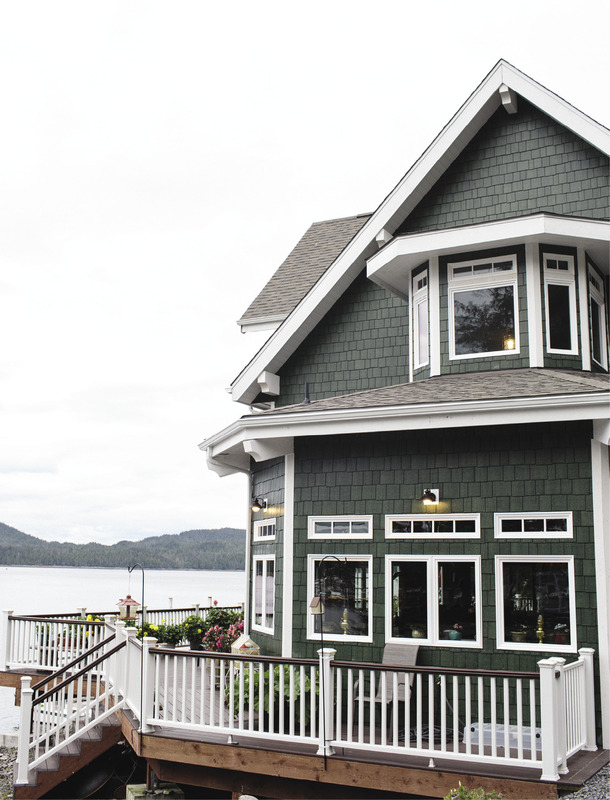 “We reshaped the land to build our house right here on the water,” says Deidre. In the end, the blasting took longer than expected, but it turned out perfect to build on. “It’s flat and where the house is, there’s no steps up to the door. Everything is right at sea level,” Dave explains. 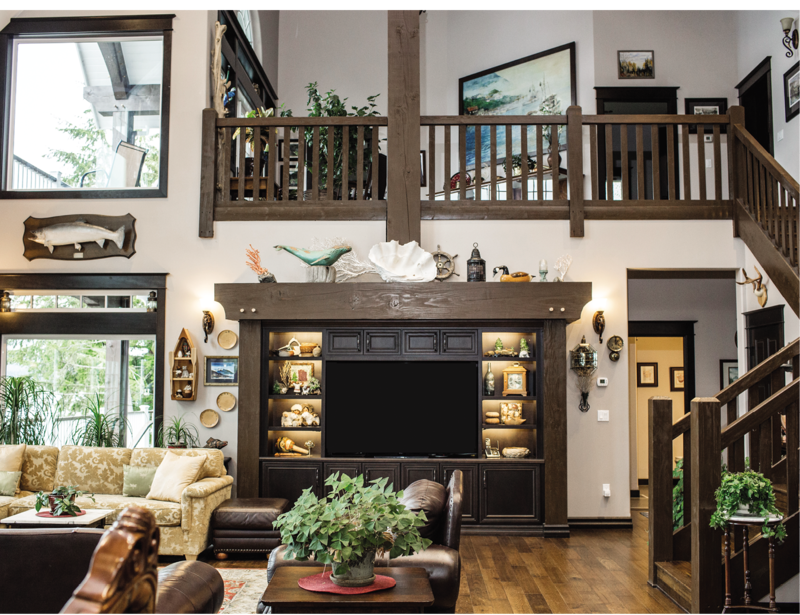 While waiting to begin developing their land, Dave and his neighbor at the time, Jim Byron with Byron Construction, established their vision of a home with a “timber-lodge” feel. “We met off and on for probably four years before we actually pounded the first nail,” Jim says. 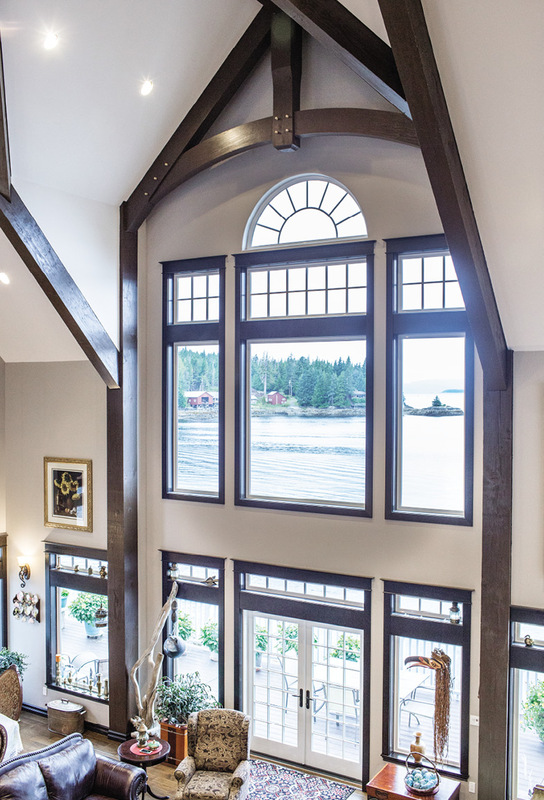 The plans involved a strong timber frame with intricately designed vaulted ceilings. 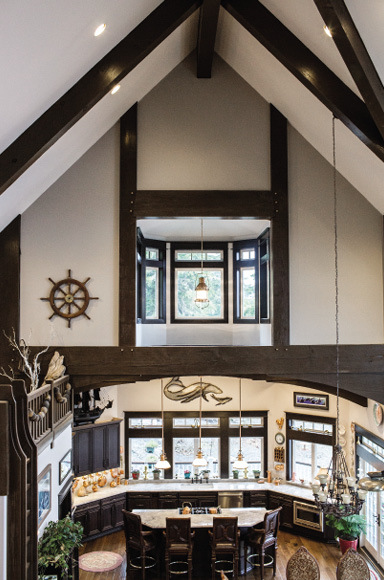 The kitchen’s two-tiered octagonal ceiling gives it a unique “lighthouse look,” says Dave. And while installing octagonal ceilings is challenging enough, doing so with vaulted 30-foot-high ceilings was quite the feat. In the octagon-shaped master bathroom, measurements had to be adjusted several times for proper fitting. 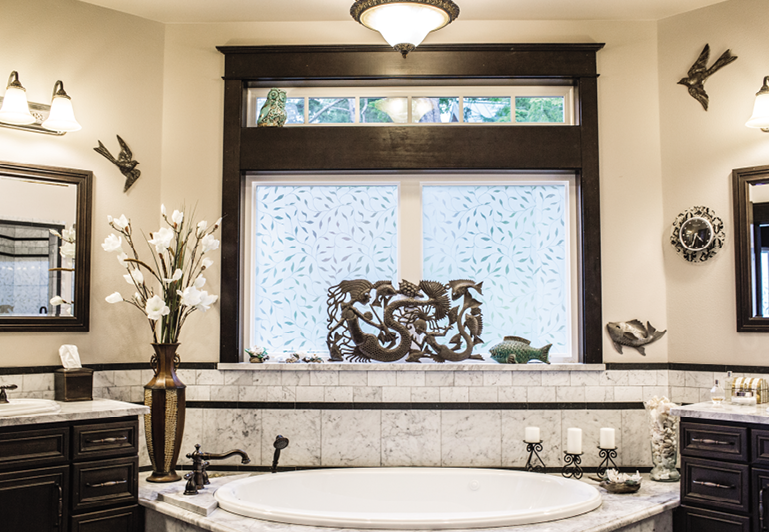 But while a complex process, the bathroom ended up providing the perfect frame for the Jacuzzi tub, enclosed shower and matching vanities with superwhite quartzite countertops. One of the biggest logistical challenges was just accessing the site. “There was a lot of nervous anticipation making sure we were going to be able to get everything down there and get it all up in the air,” says Jim. The driveway to the house has a tight corner, so the large trucks of wood, including the fir timbers from Washington and Oregon used for the frame, and drywall couldn’t make it directly to the house. “Everything was put on forklifts and taken down the rest of the way,” Jim explains. Although being on the water may have had its drawbacks when building, living in the cove makes up for it tenfold. Dave and Deidre can see for miles outside their home, including the buoy that marks their long-line fishing spot. “We’ve been in commercial fishing – both of us – almost all our lives,” says Dave. 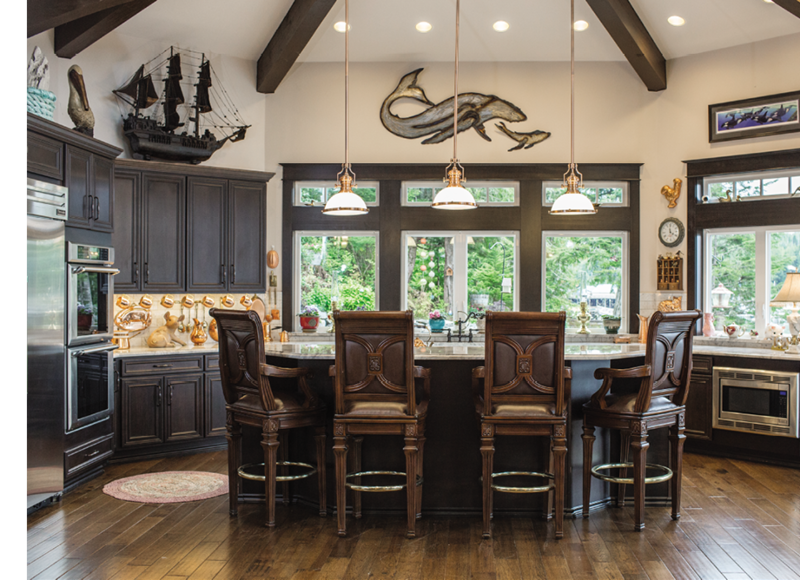 “Commercial fishing is kind of what made it possible to own this house.” Now, their fishing spot is essentially in their backyard, and they bring a lot of the rewards back to their kitchen. “Our main diet is fish,” Dave says with a laugh. 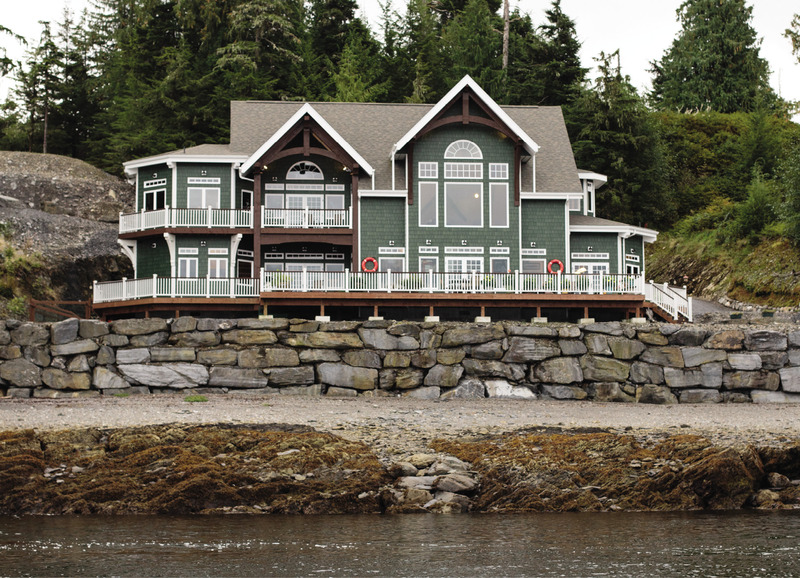 When the tide rises, the water surrounds the home, hitting just a few feet below the deck on the home’s rock wall. “Every window, it’s just nothing but water... Yesterday we saw a whale breeching and feeding,” says Deidre. Through their massive windows and four sets of French doors, Dave and Deidre also see a number of birds and sea lions, who often tease their dogs on the deck. The proximity to the ocean also gives Deidre access to one of her favorite past times: beach combing. “Every time she goes beach combing, she wants to bring the beach home with her. I’ve carried, literally, giant logs, root wads, and rocks and rocks and rocks,” says Dave. But their new home has room for all of their finds. “A lot of that stuff decorates our home. We have big chunks of coral that we brought up from 1,000 or so feet down, long-lining for halibut.” Deidre makes small sculptures from the glass, like trees using green sea glass or sea glass flowers. With Deidre’s mom and dad’s paintings on the wall, there are multiple generations of family art in the home. Their large home also makes a welcoming space for family gatherings. 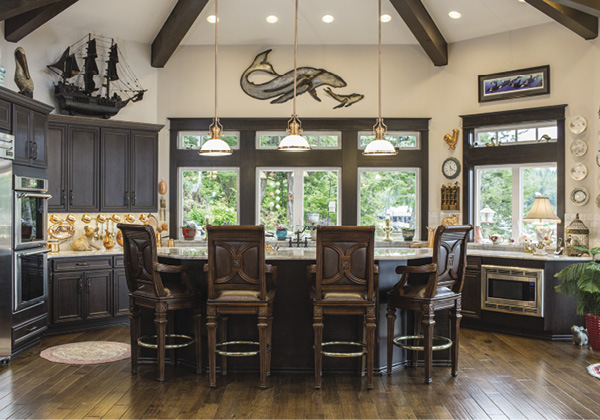 The seating around their island breakfast bar, made of a beautiful and durable marble countertop, and the extra space for their dining room table gives ample seating for everyone. Last year, they hosted Thanksgiving and Christmas parties at their home, and they look forward to doing the same this year.